Call it “SARKARI”, but an idea that was conceived way back in 1994, put in paper then, got implemented in 2019. Years of waiting, years of request but an unwillingness of Administrators made this “Important Asset for Patients” to wait for more than two decades. Isn’t it shameful at the part of authorities that they took Twenty-five years after an idea to set up a surgical gastroenterology OPD was conceived, the PGI finally realised it today. Call it administrative issues, it took the institute 14 years to start the OPD after it had MCh (Surgical Gastroenterology) training course in 2005. The course made it mandatory to have an OPD exclusively for the discipline. “The plan to have a surgical gastroenterology OPD was conceived in 1994. Since then, it had remained on papers. 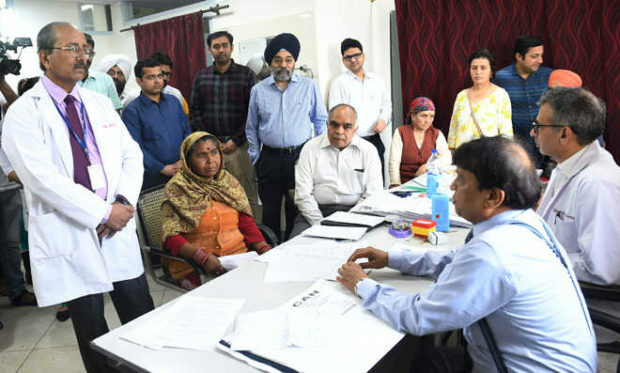 Even though a super specialty course, MCh, was started in 2005, it took 14 years for the specialised OPD to come up as many people in the administration were not interested. We had last written to the administration regarding this two years ago,” shared GR Verma, Professor and Head, Division of Surgical Gastroenterology. He told that the delay was caused as the administrative decision did not come. PGI Director Jagat Ram inaugurated the OPD today. However, the hospital is yet to start a separate department of surgical gastroenterology. “It is a long process as we have to finalise all the modalities before seeking an approval,” added Dr Verma. The attendance of patients of gastrointestinal diseases at the PGI has increased from 14,000 in 2005 to 34,500 in 2017. Ninety per cent of the cases are of surgical gastroenterology. Similarly, the number of operations also doubled from 2,500 per annum.